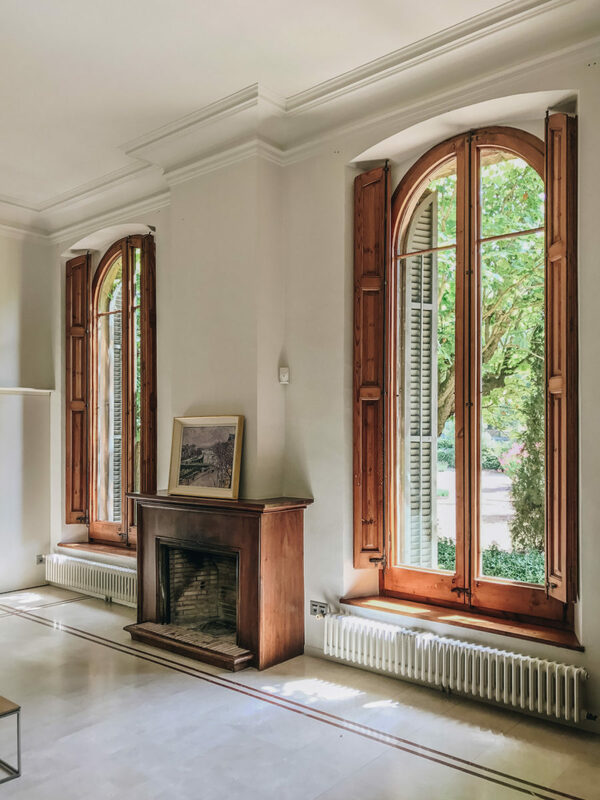 The subject of the home has always been those who live in it, their personal way of living, and of passing of time. 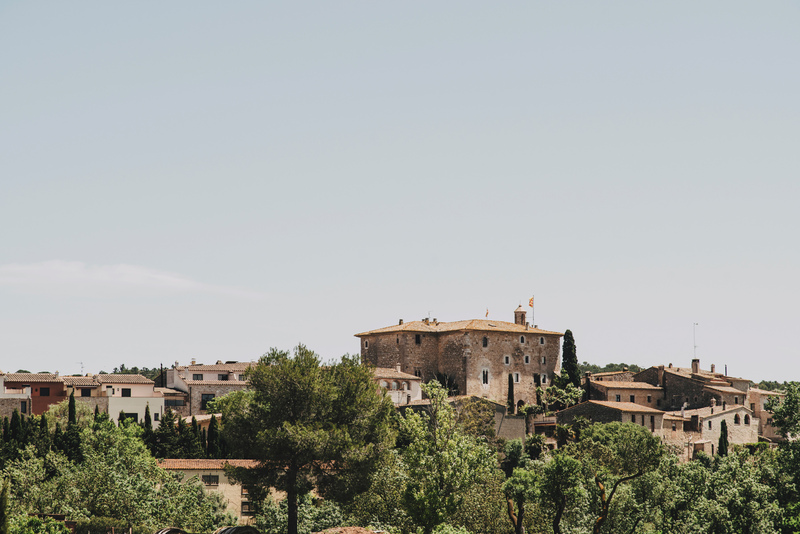 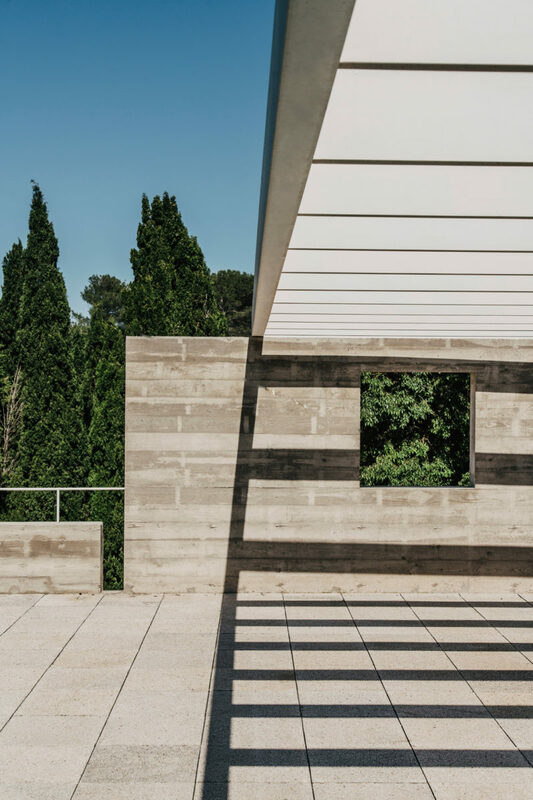 In Sant Mori, a protected rural village in the Empordà area (POUM 2009, formulated by Amador Ferrer), the Can Blasco-Nicolau home went from being a large family summer house to the permanent residence of two. 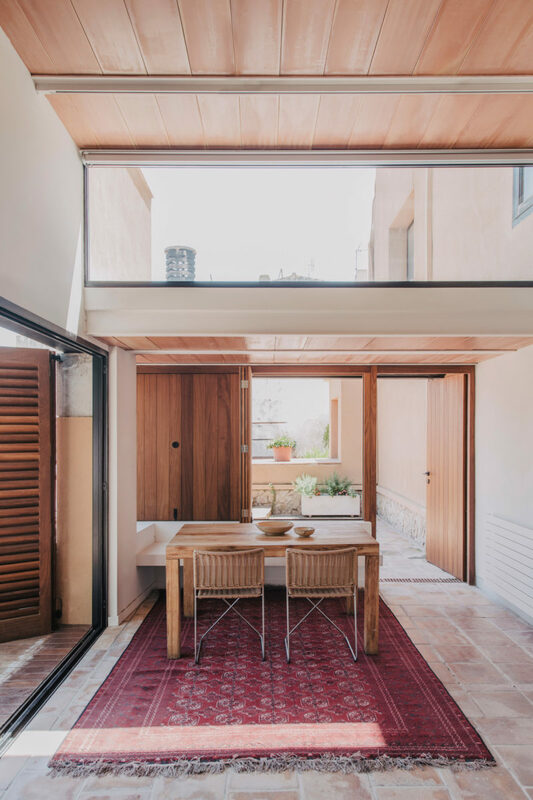 This entailed reducing the actual living space to the size of the smallest kitchen in the property combined with the size of the porch giving access to the garden, while giving prominence to the view – fulfilling the project´s basis which was to enjoy the sight. 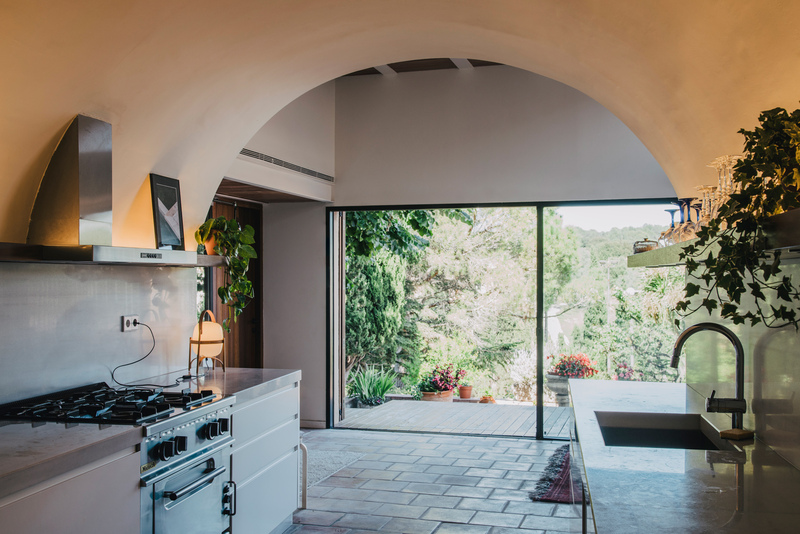 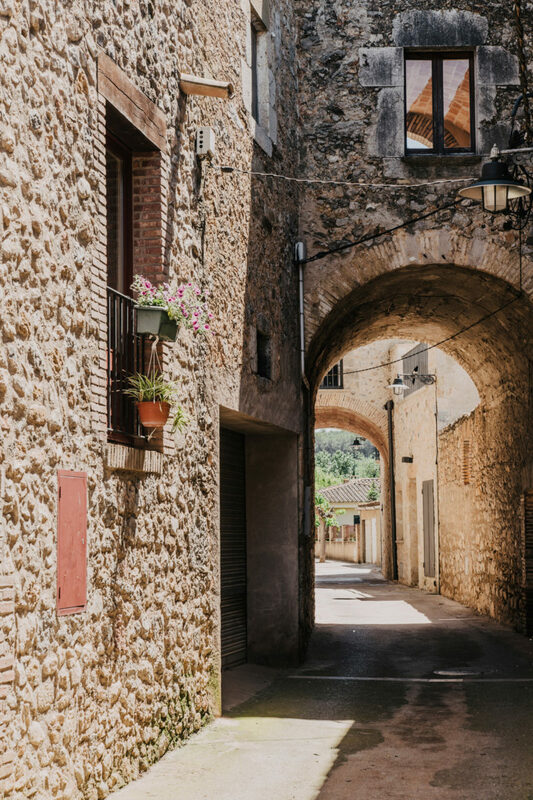 From the kitchen area, the only view to the garden was through a small window installed on a wall carrying a forgotten Catalan vault. 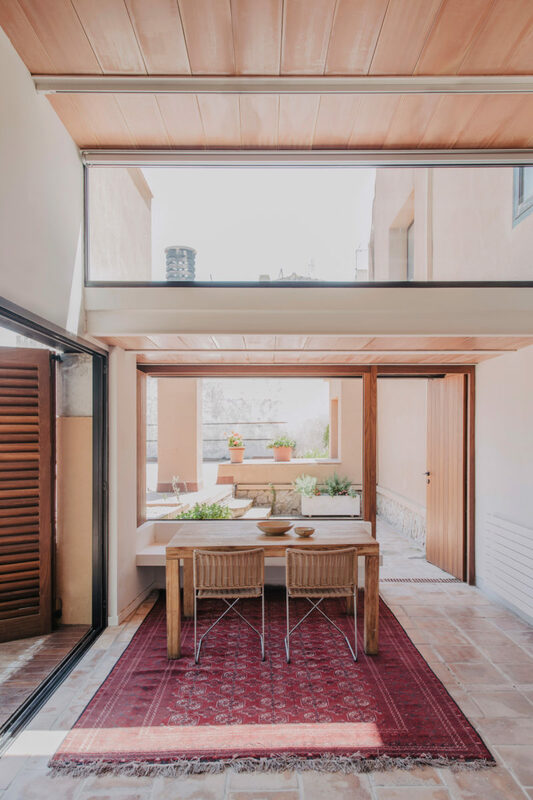 To widen the view and put the vault back at the center of attention, this wall was removed and replaced by a glass door on the same line as the wall of the parking area, creating a larger kitchen/living room area without touching the original structure of the house. 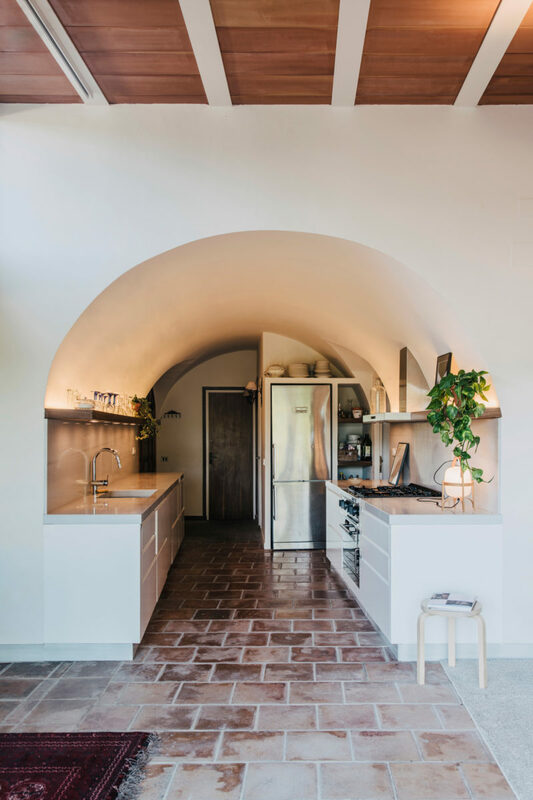 Over this newly created area, an unidirectional beam was constructed, functioning as a roof, and extending itself until it reached an old pilaster built on the porch, on which the whole construction leans by means of an added piece of concrete. 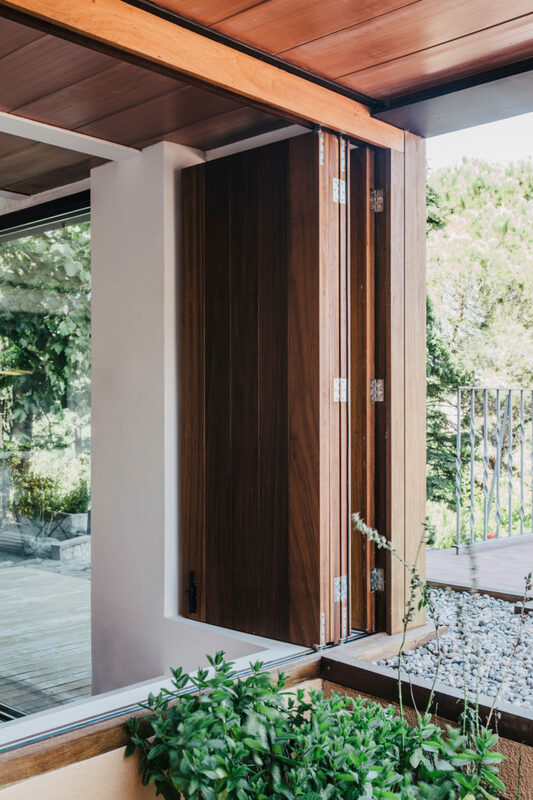 Where the beam ends, wooden modules are used as walls that can be opened and closed to adapt to weather conditions, and to alternate between indoor and outdoor settings. 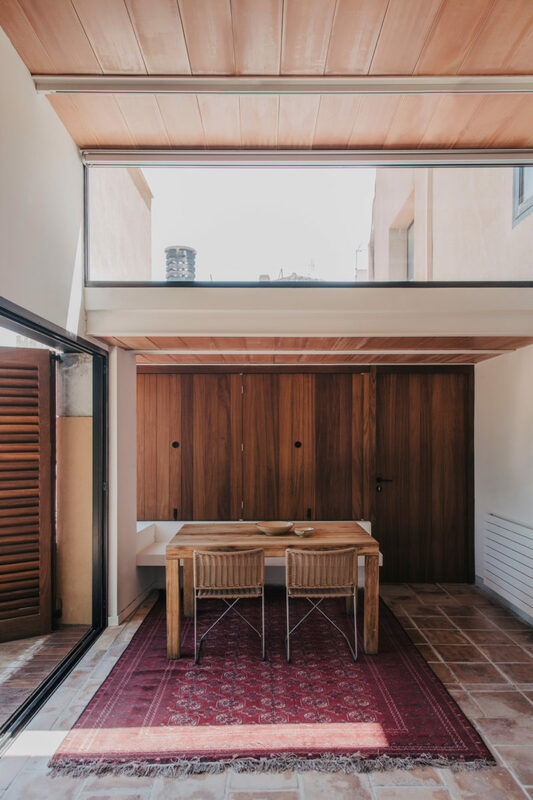 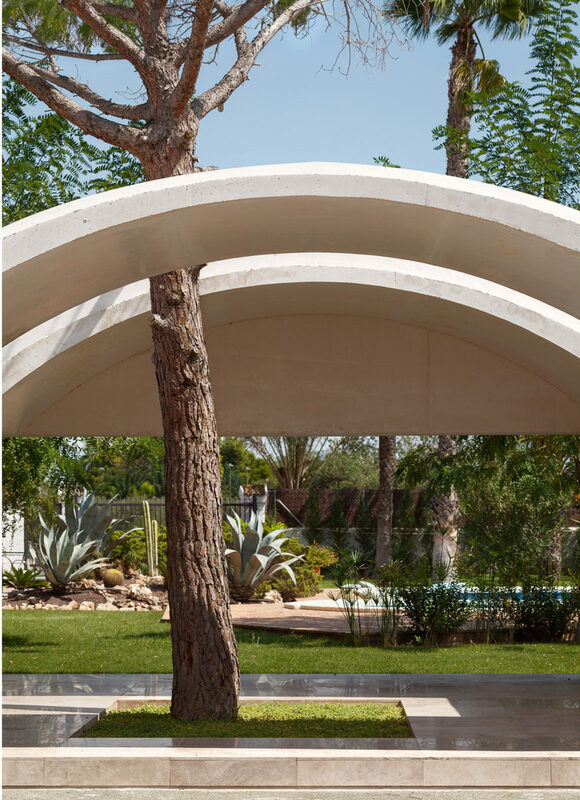 The Can Blasco-Nicolau project is an ampliation that uses already existing elements to add value to the space most enjoyed by its inhabitants: a design based on a way of living, a house that evolves along with its user. 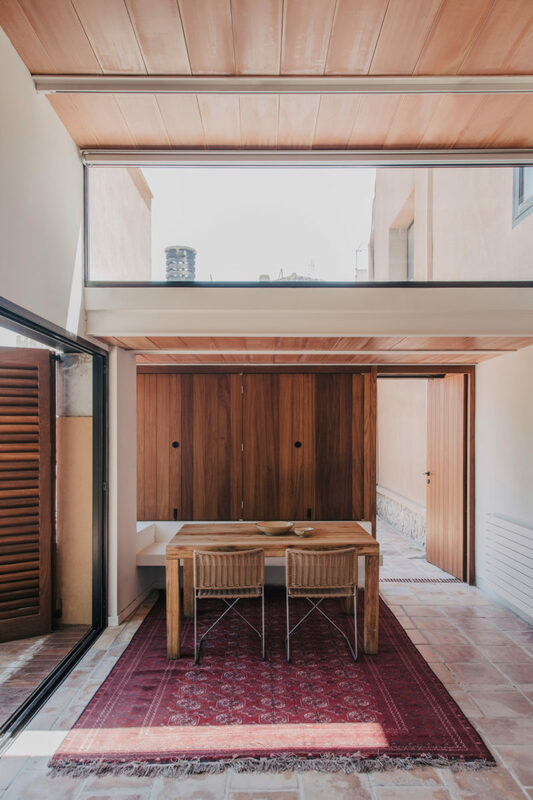 The building’s own structure generates and solves the formalization of the objectives, creating an aesthetic that results from its unity with the original.